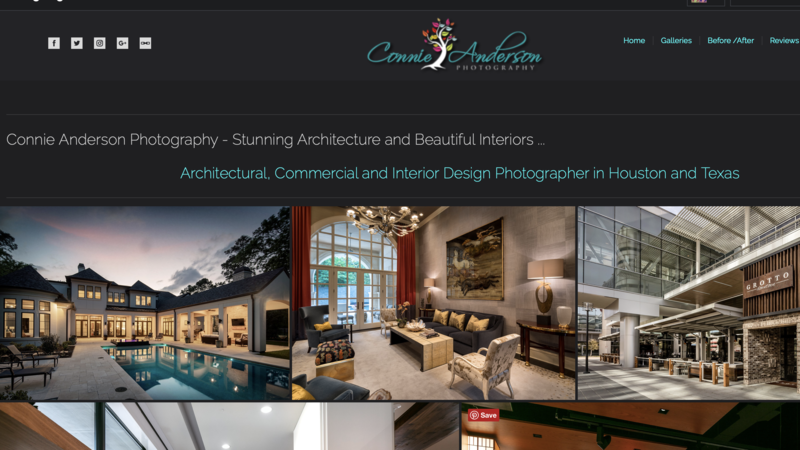 On the home page of my website the two lead lines above the galleries were at one time both the same accent color, I'm not sure what happened but they lost their color. I am only able to choose the accent color now on the lower line, not sure how I got the above one with the same color. Can someone help me getting them the same color again. Thanks Mike, I tried logging out to see if it corrected itself, if you are seeing both lines in blue then I guess it did. Logged in however I'm seeing them different, they were both colorless until I corrected the bottom one, the top one still is without color logged in. I looked in another browser and I am still seeing the top line with no color. What could this be? its supposed to be the accent color that is on my site, teal/turquoise. It was that color, why would it have changed? If your theme's accent color is still teal/turquoise and your separator is the accent color, then you have added some custom CSS someplace. 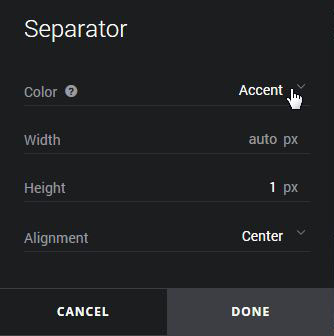 I just added a separator to my test page and it shows the accent color correctly. Thanks Mike, my separator is usually just grey but the text is my accent color. Yes, I might have added css long ago, its been a while now, but it has somehow gotten corrupted. Is this fixable? Just change the color of the separator to the accent. Its not the separator that I want to change the color of, its the two lines of header text on my home page. They are the only things that are the accent color. One I can change by choosing the accent color, but you say it is grey, but me viewing it I see the top one (which is css)is grey and the other one is the accent color. I'm confused. Now the second line of text has completely disappeared. It appears there are odd things taking place that are out of my control. No, I'm confused. Guess I need a screen shot then. the bottom line has come back now but last night it wasn't there. As you can see in the image, both lines of text should be the same color. The bottom line is controllable but the top line consists of css which is where my problem lies, I don't write code. If it is only on this page add this in front. Hi Allen, thanks for chiming in. I added to css, both lines. Now the upper line is not hugging the left margin, its centered. how do I move it back to the left? Remove "text-align:center" from the rule. BTW, you only need one of the lines. Allen, it fixed the text alignment but now the color is back to grey. Ok, it seems to be fixed now but I had to use both lines of code and changed one "center" to "left". Will that work? If you only want the color use this.